Political analyst Mutahi Ngunyi has unveiled a man whom he believes that he will succeed NASA leader Raila Odinga. According to Ngunyi, controversial lawyer Miguna Miguna is the best suited person to inherit Odinga's Luo Nynza following. He compare Miguna to how Deputy President William Ruto took over from retired President Daniel Moi in the Rift Valley. Ngunyi is expected to reveal how the take over will proceed in his weeklyyoutube commentary. "Miguna is the king -in-waiting within the Luo Nation.He willi nherit Raila by force the Way Ruto inherited Moi. 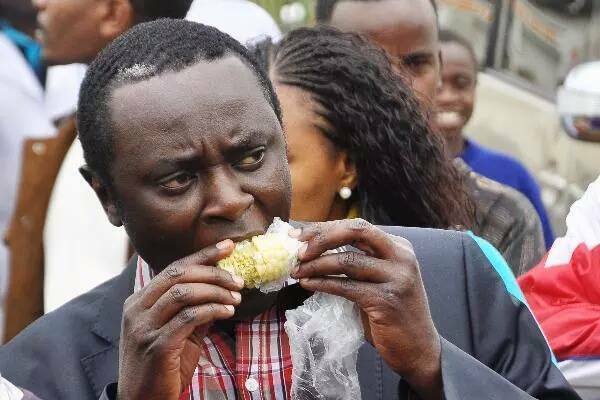 My Columnfor this week," tweeted mutahi ngunyi. Ruto succeeded moi without moi even endorsing him. He came out as the outright successor of president moi in kalenjin region because of his aggressiveness and it was not handed to him on a silver platter.